In a world sustained by a magical liquid, called the Color, you embody an ethereal being capable of manipulating it. Every action you take will have a direct impact on the forest of Quur and on the creatures who inhabit it. 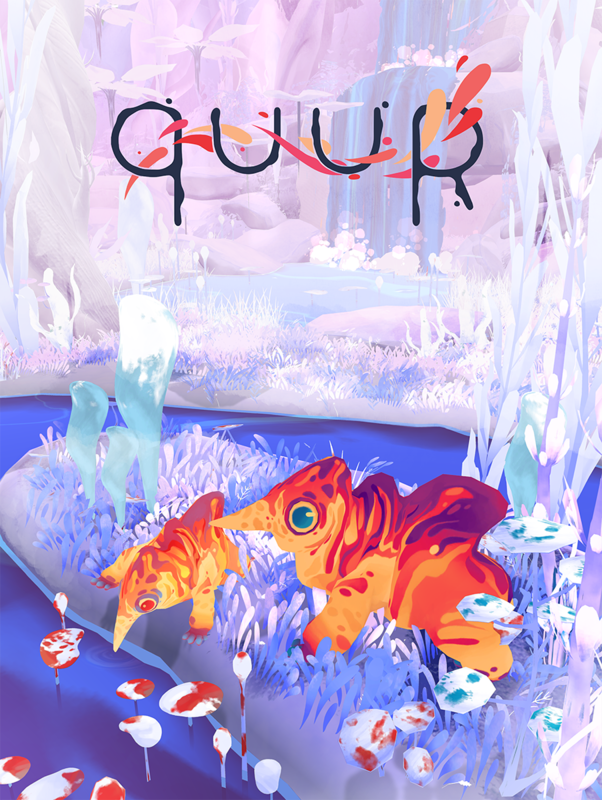 Quur is a student game made at Supinfogame RUBIKA (France) during the 2015-2016 school year. The game is playable on Windows only. For a better experience, we recommend the use of a gamepad, but Quur can also be played with a keyboard. Can you make a mac compatible version of this game? what the system requirements to play that game? Absolutely beautiful game to play. I did a video with no commentary and thank you ever so much devs. Awesome game. I downloaded it a few minutes ago, and It's amazing. I get a bit lost since there is no text to explain the history, but I dont care too much about that. I'll keep playing it. WEIRDEST GAME OF THE YEAR!? I played this a while back, it was a decent little game! Yayy, rainbows everywhere! Bring back bright colour in the world! This game is a lovely idea, shooting colour everywhere to bring the world back to live. Check it out, it's absolutely breath taking! And make sure to support the developer, because they well deserve your moneyzzz! And while you're at it, SUBSCRIBE to my channel for more indie let's plays! This game is really interesting! I like the use of color and that white means death. I chose the wrong settings on obs though so it only recorded in 720p. The game is really pretty and vibrant, and the controls are solid. I don't know if there is any backstory other than the description, but I enjoyed it. This game was amazingly beautiful!! I would love to see a major production come from this student game! Awesome job! 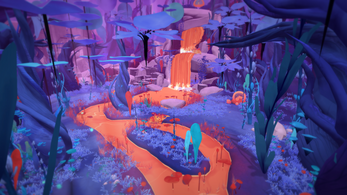 A gorgeous game with a really unique style. Though personally I did get confused at some points, it was overall a fun game to play and I absolutely adored the mystery lying behind it. Absolutely beautiful game, lots of atmosphere lots of mystery and intrigue. 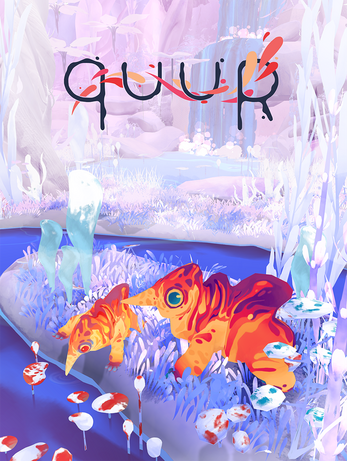 Quur is a messy and colourful game where you play an ethereal being capable of manipulating all around you. The game is so unique that it's hard to actually explain it whilst doing it justice. Great game! I really enjoyed the exploration and level design. And the visuals, so pretty. :D Well done to your entire team for putting this really well-built game together. I really appreciated this game. I play a lot of bad stuff, but this was an incredibly polished game from such a small team. I really dug the gameplay! Looked great, too. Congrats, guys! Is there any hope for a Mac port, or alternatively – has anybody tried running it via WINE? Interesting game, even if I did get stuck at the end. 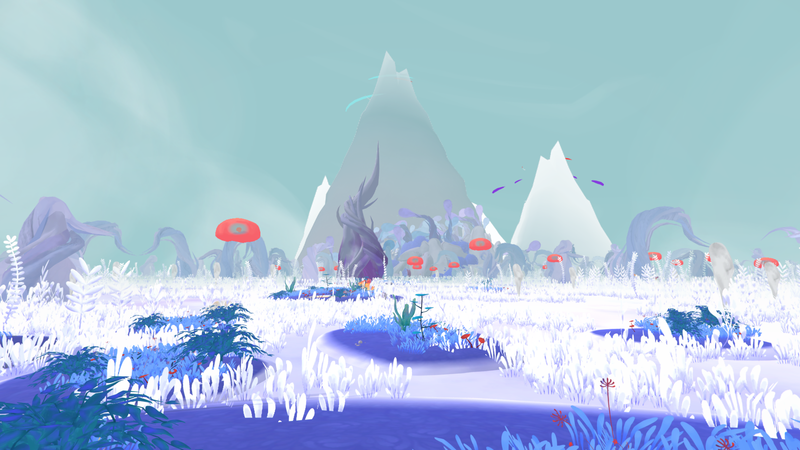 This is a super beautiful game and i love the idea behind it! I love finding beautiful indie games like this! The environment, color, and music are just awesome :) Love the game (besides the mean lizard/dog things :P) Great work! One of the most beautiful indie games I've ever seen! Well done! I don't know if I did too well though cause it felt like I did something wrong haha! 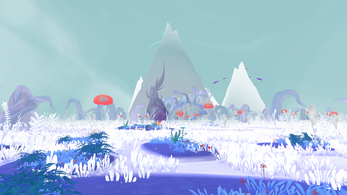 I absolutely loved this game, the world is beautiful and the idea is very creative! A wonderfully beautiful game! I loved the creature designs and the environment. I realized afterwards I could distract the newts with the paint, tempting me to try again without injuring them. Hello, friends! I wonder - how to contact developers team by email? Hey there, I finish a gameplay and it was a little hard to figure out but I think I was able to complete the game, If I missed anything let me know, good job I liked this concept a lot.